Product categories of PVC Insulated Control Cable, we are specialized manufacturers from China, Pvc Insulated Control Cable , Cca Pvc Insulated Control Cable suppliers/factory, wholesale high-quality products of Multi-Core Pvc Insulated Control Cable R & D and manufacturing, we have the perfect after-sales service and technical support. Look forward to your cooperation! PVC Insulated Control Cable is manufactured according to the standard of GB9930 "Polyvingyl chloride insulated Control Cable", IEC60502 [Extruded solid dielectric insulated power cables for rated voltages from 1 kV up to 30kV",and the same time is also manufactured according to the standard of IEC, English, Germany and America. 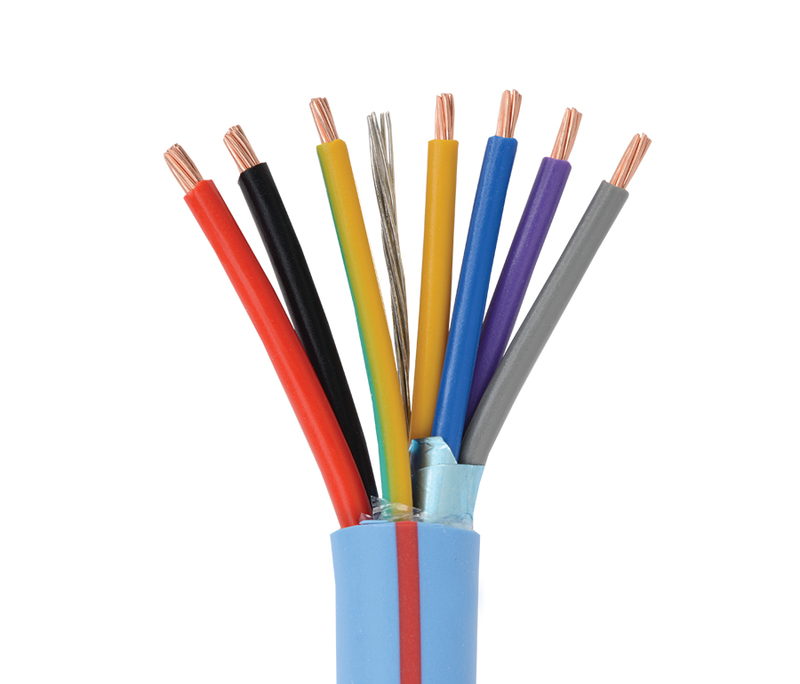 PVC insulated and sheathed control cable is suitable to the interconnection in controlling, signalling, protecting and measuring systems with rated voltages up to and including 450/750V or 0.6/1kV. Rated power-frequency voltage Uo/U: 450/750V or 0.6/1kV. The ambient temperature under installation should not below 0℃, if the ambient temperature is lower than 0℃, the cable should be preheated. Non-armoured cable: not less than 6 times of the cable diameter. Armoured or copper tape screened cable: not less than 12 times of the cable diameter. Screened fiexible cable(flexible control cable) less than 6 times of the cable diameter.